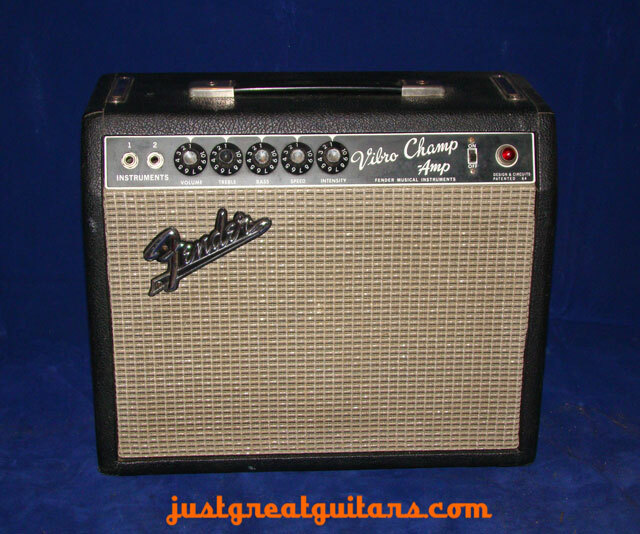 They say that ‘good things come in small packages’ and this small Fender combo is no exception to that saying and is a particular sonic favourite here at JGG, with its ability to go from ‘sparkling’ Fender clean tones to a great ‘crunch’ sound in a small and very portable ‘gig-ready’ package. 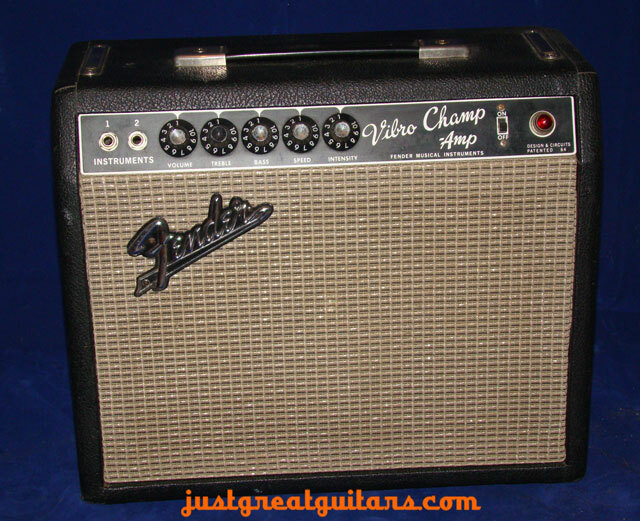 This model differs from the regular Fender Champ in that it has the addition of a wonderful, rich sounding vibrato effect. 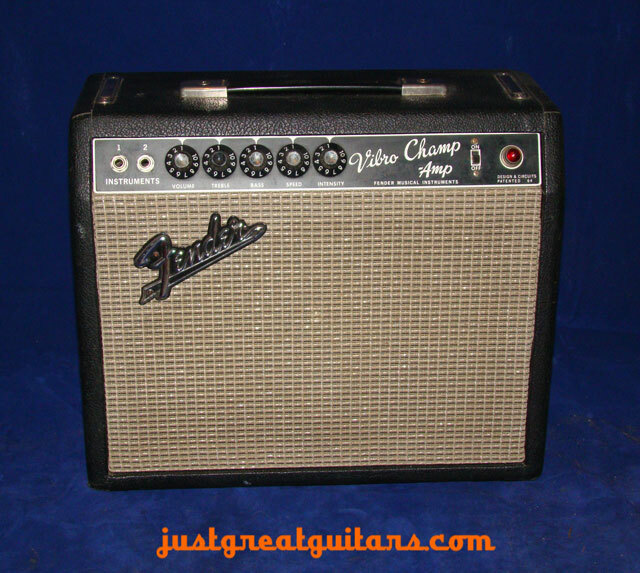 They say that ‘good things come in small packages’ and this small Fender combo is no exception to that saying and is a particular sonic favourite here at JGG, with its ability to go from ‘sparkling’ Fender clean tones to a great ‘crunch’ sound in a small and very portable ‘gig-ready’ package. 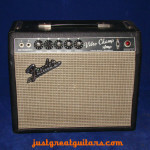 This model differs from the regular Fender Champ in that it has the addition of a wonderful, rich sounding vibrato effect. 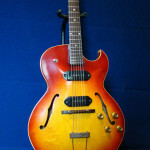 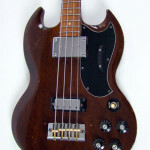 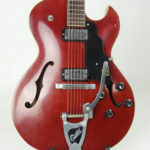 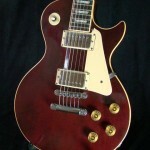 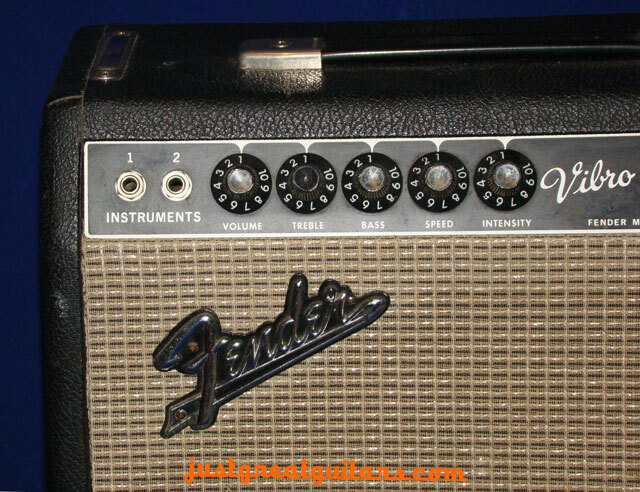 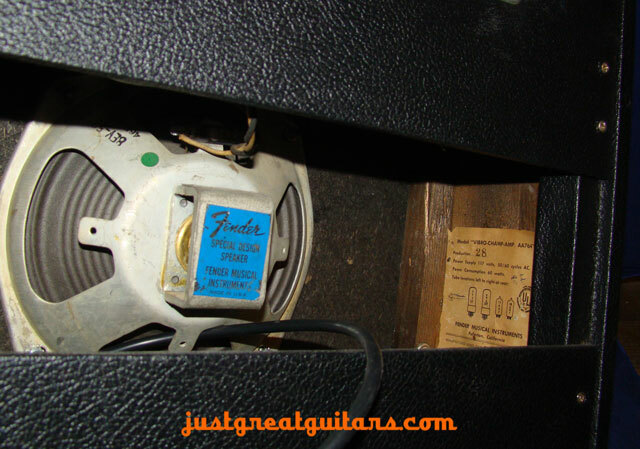 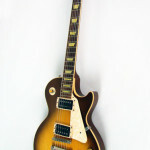 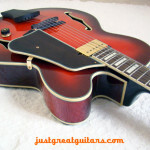 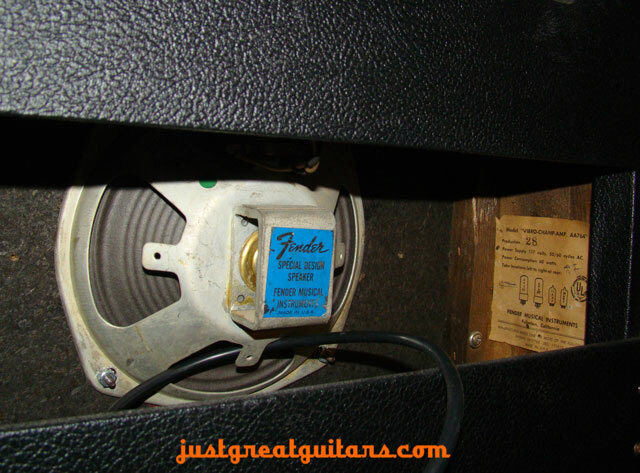 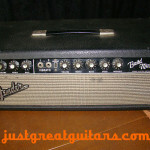 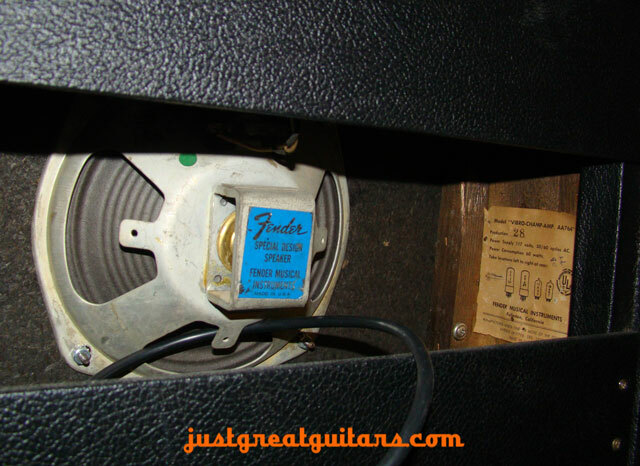 It was first introduced to the musical public by Fender in 1964 and it remained in production until 1982. 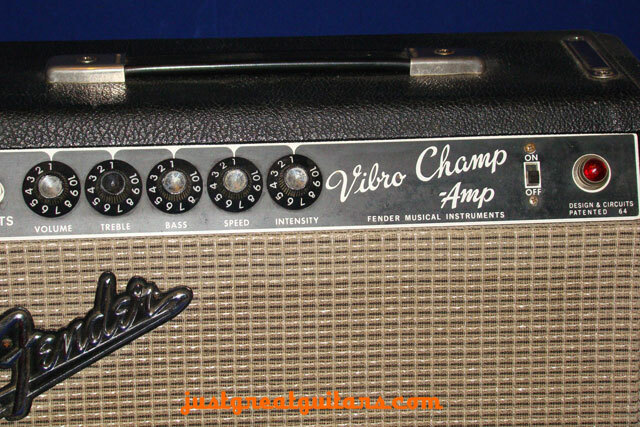 The Vibro-Champ amplifier features volume, bass and treble controls along with a speed and intensity control for the vibrato effect, which is really warm and lush sounding. 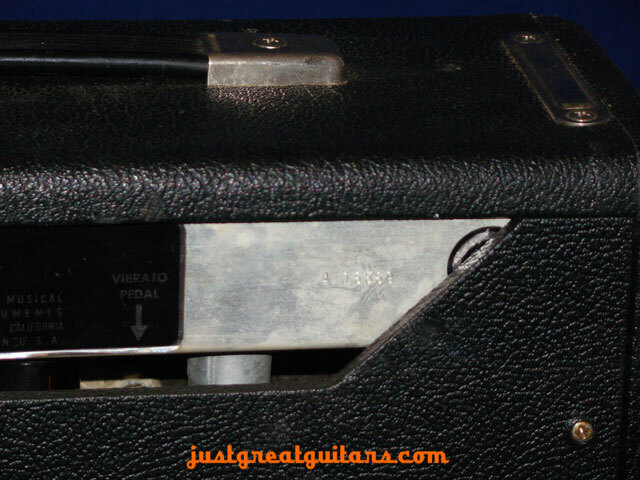 No need for an extra vibrato pedal here, as it’s all built-in and ready to go. 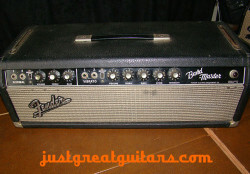 This particular model from 1967 is the ‘Blackface’ version and is in excellent overall condition sporting the famous black front panel and raised Fender logo. 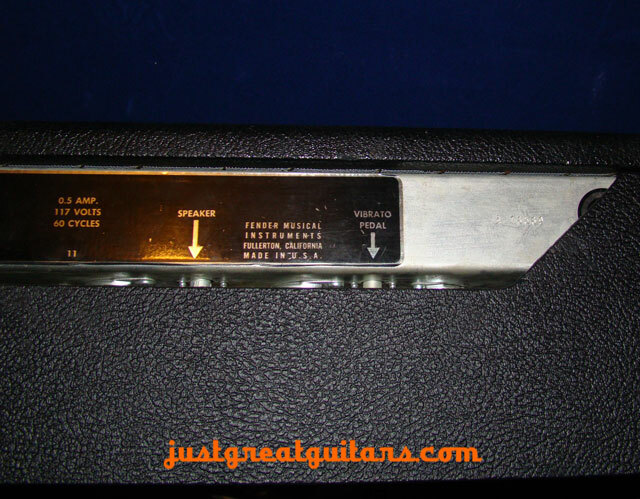 The only item missing is the centre chrome portion of the treble control. 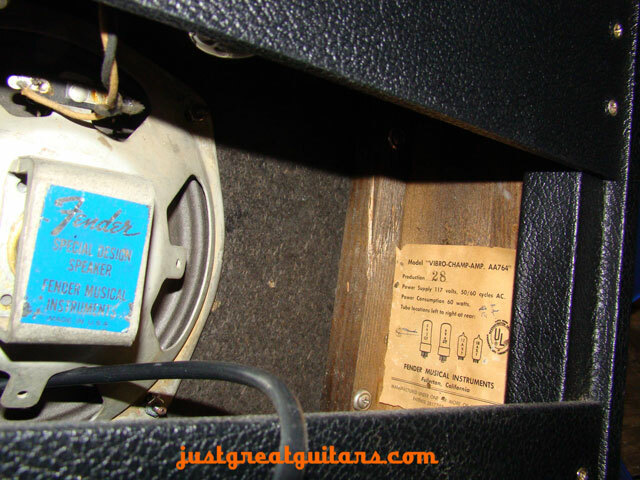 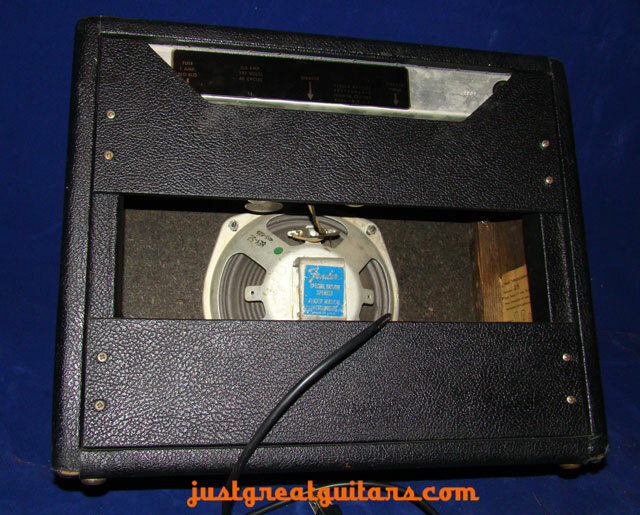 The ‘Blackface’ line of amplifiers is so-named because the amps had a black front instrument and black tolex covering. 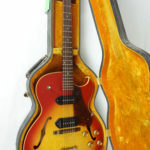 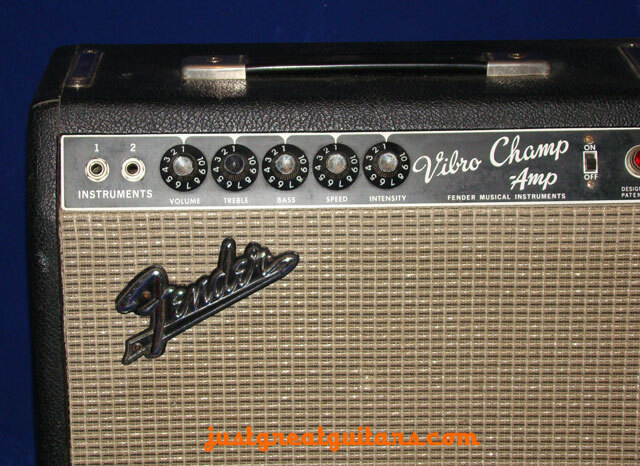 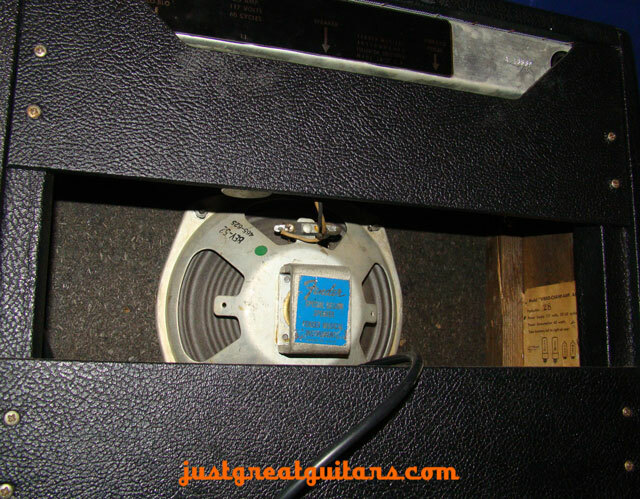 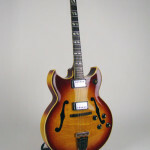 Despite this amplifier being considered a modest model at the time of its launch by Fender, its features rival many of today’s boutique valve amplifiers with pine cabinetry and finger-joints, 100% hand-wired circuitry, all tube single-ended design, cloth-covered wire, carbon-comp resistors, and components all made in USA. 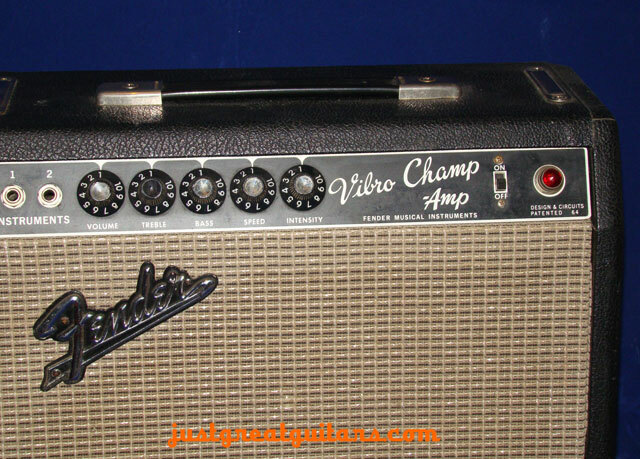 As a historical aside, rumour has it that Eric Clapton used a Vibro-Champ on the famous ‘Layla’ sessions with producer Tom Dowd stating that the albums’ signature guitar tones were created with a blackface Vibro-Champ running into a blackface Princeton Reverb with the volume all the way up. 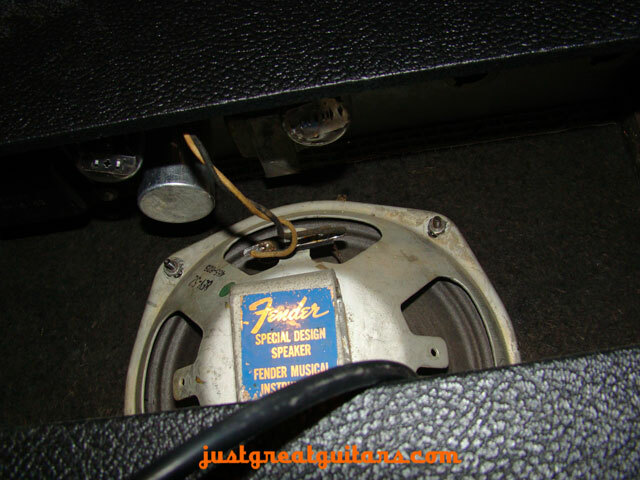 Plug a nice Strat into this amp, turn it up and you can certainly hear ‘that sound’.